In 1916, a dedicated group of individuals belonging to the Veerashaiva community, popularly known as Lingayatas, embarked on a dream. Their vision-to create a strong educational base in the neglected area of Karnataka and Maharashtra. Over 10 decades, the K.L.E Society has blazed a trail. And set an unparalleled example in the South. Today, the K.L.E Society runs over 250 institutions in the area of Healthcare delivery and education in the area of Healthcare delivery and education. Society’s manpower exceeds of 16,000 employees. Total 1,10,262 students are undergoing every possible course-from kinder garden to post-doctoral programs in the faculties of Arts, Commerce and also professional courses in Medicine, Engineering and Law, are all part of this gigantic social phenomenon. Inspired by democratic values, the Society is ably managed by a Board constituting the President, Chairman and 14 other elected members. Each a responsible and knowledgeable person with an immaculate track record. The success of the Society can be attributed to their sterling contribution over the years. 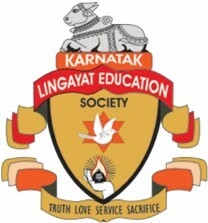 KLE Academy of Higher Education and Research (KAHER) Belagavi stands testimony to the high professional standards aimed for and achieved by K.L.E Society. KAHER Institute of Physiotherapy was established in 1994 and has been providing it services to urban and rural citizens for 25 years. To educate mentor & train students in physiotherapy to highest international standards. To empower students to achieve their full intellectual, ethical & clinical competence potential in preparation for life long learning. To uphold through research, education & patient care the scholarship & cultural tradition of K.L.E. Society. To promote a responsible role for physiotherapy professionals in addressing health issues. To provide excellent physiotherapy human resources to the nation and world. diseases & disorders by means of physical medicine modalities."